The great outdoors provides us with a playground, and for some, a place of work. Whether you are a walker, paraglider, orienteer, climber, horse rider, mountain biker or fell runner, all outdoor activities carry inherent risks and dangers. In an urban setting we rely on ambulance crews, paramedics, doctors and nurses to provide assistance and medical care when things go wrong. This means the average person can get away with knowing surprisingly little first aid, but remain fairly safe on a day to day basis. However, once you are in an outdoor location away from immediate help and assistance you need a different approach. Evacuation will be necessary, either self-evacuation or through the emergency services. You will need to be able to administer first aid in awkward, even dangerous places. Limited resources mean that you have to be able adapt and improvise. 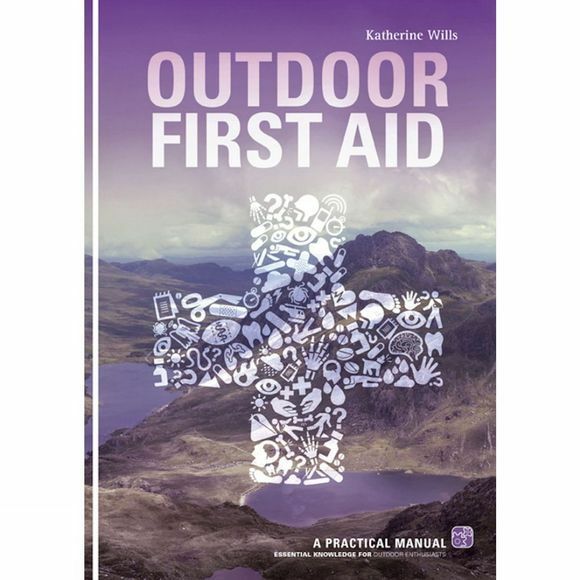 This book is geared specifically towards first aid in the UK outdoor sports scene. Katherine Wills is a qualified Specialist Physical Education teacher and currently runs Active First Aid Training, delivering Rescue Emergency Care certified courses throughout the UK. Having lived in Snowdonia for over twenty-five years she is passionate about mountaineering. In 2000 Katherine became a member of the Llanberis Mountain Rescue Team and since then has attended over 350 rescue incidents. She holds the Mountain Rescue Council's Casualty Care first aid certificate as well as the Emergency Care in Mountain Rescue (Advanced) certificate. Katherine spent a number of years as the chair of the rescue team's Medical Sub-Committee and holds the Queen's Golden Jubilee Medal for her services to mountain Rescue.